The Alto Rhapsody by Brahms is a rarely performed smaller-scale work, for alto solo, male-voice choir and orchestra on a text by Goethe. Here are the intensity and sonority always expected of Brahms, providing a contrast with the more symphonic outer works in this programme. 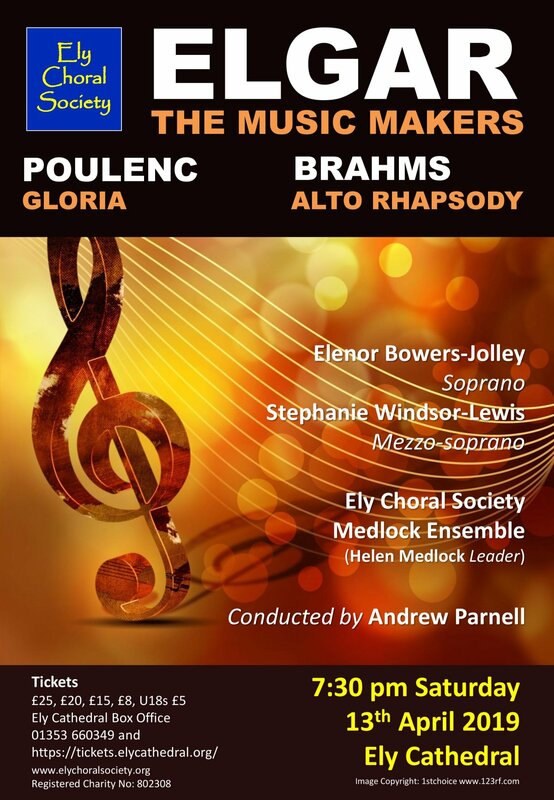 Elgar’s The MusicMakers is the most famous setting of Arthur O’Shaughnessy’s poem, scored for mezzo-soprano solo, choir and orchestra. Listening to what must be one of the most popular of Elgar’s choral output, you can enjoy spotting the composer’s references to half a dozen of his best known works, including Enigma Variations and The Dream of Gerontius, as well as The Marseillaise!